This post contains references to products or services that may compensate us when you make a purchase through the link listed here. 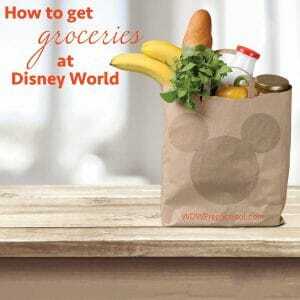 So you're planning a trip to Disney World and would like a few groceries to have in your room. How will you get them? There are lots of options, each with its own benefits. Ship from home, Walmart, Amazon, etc. Note: The Swan and Dolphin reportedly will not accept deliveries from grocery delivery services. What it is: A grocery delivery service. You place an order by shopping on their website. At checkout, you specify a delivery window that you'd like. Cost: The price of the food plus $14 delivery fee for orders under $200. Tipping is optional. There is no minimum order. Order ahead of time for discounts (15 days ahead = 5% discount, 30 days = 7%, and 60 days = 10%). Cons: you're restricted to the items on their site, only delivers groceries at Disney World resorts, only delivers to Beach Club, Yacht Club, Boardwalk Resorts and the Disney campgrounds during the hours of 4:00 p.m.-9:00 p.m.
What it is: WeGoShop is a grocery delivery service that will shop at Trader Joe's, Publix, Winn Dixie, Whole Foods, Sam's Club, and/or Walmart. You choose your 30 minute delivery window at checkout. Shopping at more than 1 store is an additional $5 per store and all orders will have a $3 fuel surcharge added to it. 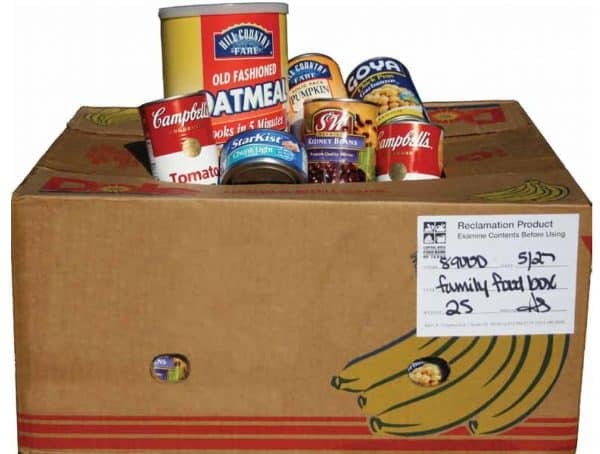 There are additional fees for same-day service, after-hour deliveries, warehouse stores, and stores that require the shopper to bag the groceries. 15% gratuity is added for orders left at bell services. Tipping outside of that is optional. What it is: Although it is related to Amazon.com and Amazon Prime, Prime Now uses its own website and mobile app and is an exclusive delivery service available only to Amazon Prime members. Additional info: in addition to groceries, you'll find many other items that you might need on vacation such as shoes, charging cords, sunblock, beach towels, etc., available for fast delivery. Be sure to download the Prime Now app to place an order. Quick side note! It's easy to confuse Amazon Prime with Prime Now. Here's a chart showing you how they differ. 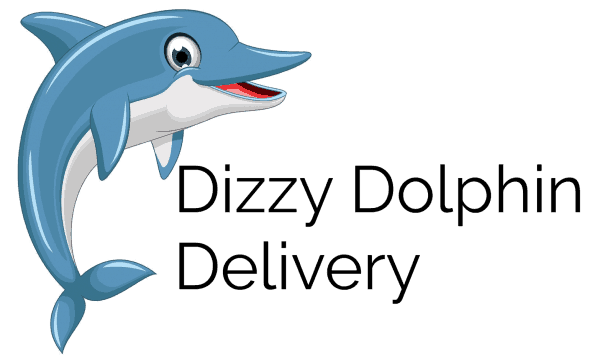 What it is: Started by several Disney Vacation Club owners, Dizzy Dolphin Delivery specializes in providing customized orders to Disney World resorts. 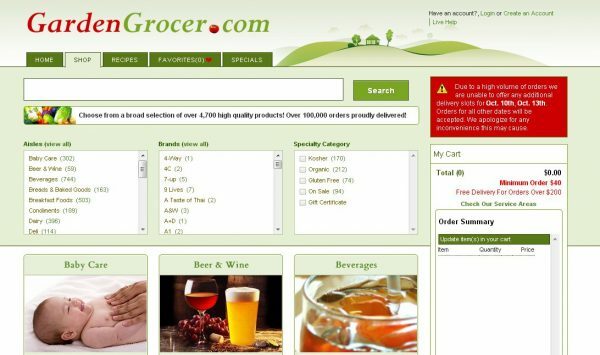 What it is: A grocery delivery service that utilizes personal shoppers to pick up and deliver items from local stores (Publix, Whole Foods, Costco and ABC Fine Wine and Spirits). What it is: A membership-based grocery delivery service that utilizes personal shoppers to pick up and deliver items from local stores. What it is: Grocery delivery service from one of the local Walmart stores. What it is: A local supermarket offering grocery delivery to Disney hotel bell services. What it is: gas stations located on-site at Disney World. There is a location across the street from Disney Springs and 1 across from the Boardwalk Resort. What it is: take a limo to the grocery store to shop in style! Just kidding. Kinda. If you happen to book a limo or car service like Orlando Transportation by Mike to take you from the airport to your hotel, many companies will allow you to request a short grocery stop. Be sure to have a grocery list ready so you don't waste their time. The feeling of having a limo waiting outside for you while you grocery shop is both awesome and strange. What it is: Online grocery ordering that you then pick up at Walmart. 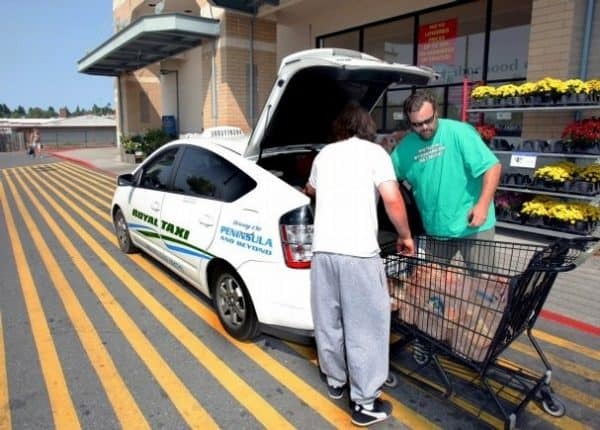 No need to even get out of your car because the groceries are brought to you. What is it: Of course, you can either ship your own package right to your resort, or have it shipped from a company like Staples, Walmart, Amazon, etc. When to order: About a week before your trip will usually work but will depend on the shipping method and origin. To be safe, try to get it there a couple days before your trip. Mailing addresses for Disney World resorts are tricky so be sure to use the following if you mail anything. What it is: Just luggage! That you put food in! Fresh fruit, boxed soy milk (that doesn't require refrigeration) and obviously packaged items are all easy to pack. You usually have to check the bag rather than carrying it on because of the liquid limits of carry-on bags. Just make sure your luggage meets the weight requirements. People flying internationally will need to consult airline rules on transporting food. Cost: If you fly Southwest or have some kind of elite status on an airline, you might get free checked bags. Even if you have to pay, it might be worth it for convenience and to save on delivery charges. What it is: For guests staying at a Disney Vacation Club Villa (even if you are renting points to do so) and for guests staying at the Cabins at Fort Wilderness, you can arrange via an order form to have many of the same items available at the on-site marketplaces delivered to your room. Orders must be faxed or mailed in at least 3 business days prior to your arrival. If you need some ideas on what to order, be sure to check out the Ultimate Packing List which includes some items you may want to get using one of the methods listed above. Anyone order wine from Amazon Prime Now? I’ve used Prime Now in the past but never added wine. It says on the site “attended delivery only.” Will the front desk sign for my hooch for me? Just curious. Going to be there for two weeks and want to have some wine in the room. Also very curious to hear feedback on whether Amazon PrimeNow will deliver the alcohol to the bell desk. Hello! Your site is a life saver! We are coming from Canada, staying at boardwalk villa’s in August. Would recommend using the Disney’s grocery delivery or Garden Grocer?! Thank you! I was looking to pickup from Walmart on the way to our Disney resort from the airport, but it looks like the Walmart @ 4444 W Vine St is now offering delivery to Disney resorts for a fee. They offer multiple time slots for a fee from $7.95 – $11.95. It states there is a minimum $50 order for delivery. Do you know if these delivery will be left with bell services? Does Disney charge for holding delivered groceries? Maybe someone could try this and update the website? Did you end up using Walmart delivery? I just submitted my order for later this week. Curious to hear how it’s been working for others. I do not recommend using Wal Mart unless you want to spend an hour waiting for them to deliver it. Disney World Resorts will not accept deliveries to the front desk unless they are in paper sacks. Our recent order turned out to be a disaster partly because they contracted it out to Door Dash. We received our order on the very last day of vacation after I was assured it had been cancelled. Disney Resorts do not allow Walmart to leave deliveries with bell services because they have plastic bags. I learned this the hard way in early February. Can I order Amazon Now weeks before the trip? I would like to place my order now for our trip in 6 weeks and I am not seeing that as an option. Thanks! 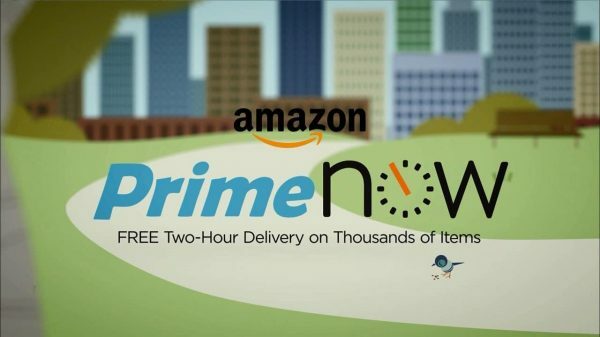 Prime Now can be ordered the day before or the day of. Just ordered some items from Instacart to be delivered to All-Star Movies, but not sure where to pick them up when I get to the resort? Thanks in advance and have a magical day! They should be delivered to bell services. I highly recommend fariytale personal shopper she charges $15 flat fee plus the cost of groceries for delivery to all of the Disney, Universal, and off villas in Orlando. She also does parcel holding and gift baskets. She was absolutely fantastic to work with on our last visit will use her again!! Can you get any deliveries to The Swan? We just had another magical trip to WDW Pop Century from 12/27/17-1/5/18. We tried Uber Eats using promo code EATS-CHRISR46256UE saving us an extra $20. We would order food from the app while on the bus back to the hotel, it would give us an eta and arrive shortly after we returned. There were lots of restaurants to choose from McDonald’s to local cuisine, all delivered to our hotel. Thank you so much we used these tips and they really helped our family of 6 save a ton of money during our trip. I’d be interested in hearing more about UberEats. How does it work? I’ve never used uber anything before and how do you do this? I’ve seen the All-Star Movies Resort address on several blogs as being 1991 West Buena Vista Drive, but one blog I found had it as 1901. Just wanting to make sure, I called the resort directly to verify their address, and they said their address was 1901 West Buena Vista Drive. Just figured I would pass that along so it could be corrected. You’re right! Updated the address. Thanks for catching that. This post is the authority on grocery delivery at Disney World! Decided to try Instacart on our upcoming trip… delivery on your first order is free for now, at least. Thank you! Stayed at Pop Century earlier this month. The first time to Florida! The Grocery Stork is the only place I will do business with when I go back to Orlando ! You place an order online and your groceries are delivered to your hotel. Prices are very reasonable also. I dealt with Matt and he was amazing, and so patient! Added to our order twice several days before arriving and he was very understanding and kind. Our groceries were at our hotel before we arrived and put in the room and fridge, so no need to waste time at the store. Had one item delivered by accident that we couldn’t eat due to food allergies and Matt took care of it and went over and above to deliver additional items and even a special request that was greatly appreciated. You don’t get customer service like they provide much anymore. The handwritten thank you note and little pack of treats is an extra little touch that means a lot! thegrocerystorkorlando.com. $12 delivery fee and you don’t have to be on Disney property. Check them out! is the 5 dollar fee for packages received new. We always send a box ahead of time and have never paid a fee? Thank you so much for putting this all together! I have some questions regarding AmazonNow – Do they have fresh produce? Also, can I only order 2 days ahead of time? Is it guaranteed that all items will be able to be delivered during that time? If I’m ordering to a hotel, do I have to put special information on the shipping address to get to bell services and be kept cold? Thank yoU! I have this same question too – wondering about fresh produce options with Amazon because I couldn’t seem to get any to come up when I tried recently. I see the produce option when shopping Prime Now in Orlando. Make sure you’re doing Prime Now, not Amazon Prime. Garden Grocer all the way!!! We’ve incorporated our grocery order in with all our other Disney planning and it’s a piece of cake as well as giving me peace of mind. They are reliable and everything down to the fresh produce and dairy is great! Order far enough in advance and the discount really makes it worth it! So does the uber driver wait for you or you have to call for another ride when you are done shopping? The Wal-Mart located convenient to the airport does the Go-to pick up. We ordered a few days in advance, flew in, went and picked up our groceries, and went straight to the hotel! We even got things like small inexpensive toys, Sun block,etc. So convenient! Strange request here, we’re coming from the uk and are planning on getting an uber an supermarket to get food for the room. Foreign supermarkets are kind of an attraction in their own right for us and we always seek them out when we go abroad. to head there, but everything i’ve read suggests Publix, whats the difference? Walmart is a national supermarket, so they’re located across the States. Publix is a regional supermarket, located primarily in the southeastern States. Price wise, Walmart will likely be a bit cheaper for standard American staples. If you’re looking for something more familiar and even some UK brands, you’d want Publix since they’ll likely have a more robust international section. Otherwise you’ll have a very similar experience in either store. We will be driving so we’ll be bringing some groceries with us for our 17 hour ride (plus coolers) & our room has a mini frig but we’ll also bring our microwave. We are Amazon Prime Members but we really see no sense in paying a delivery fee if we have our car, so we were hoping to just drive to a close Walmart, or other grocery store, once we arrive to grab what we’ll need for our stay. Does anyone know how close the nearest grocery stores are and which ones they are? Thanks! I just used Instacart that works with Publix. If you sign up LESS than a week before your delivery date, the first delivery has no fee!! Just pay for the groceries and you’re all set! Be careful about signing up for the monthly charge though! I just tried to order Prime Pantry today for our arrival Saturday. You need to order more than 2 days in advance. Our food was not going to get there until Wednesday. We had to go with Garden Grocers instead. Wait cancel that…I cancelled my order with Garden Grocers because I discovered Prime Now. We are going with that now and saving about $40. I will place my order Saturday morning and it will be there when we arrive. Yay! If you have Prime try Prime Now and NOT PRIME PANTRY. Hi Stacey, could you help me with what kind of labeling you used for your Prime Now order? I’m using the mailing address listed above, did you just include Your Name @ Your Resort address?? Or did you need to include your room number or reservation number..? We’ve use Garden Grocer and we were very satisfied. However as you said they do not have a lot to choose from. Does Publix not deliver on their own? how does this change with the package fees the resorts have implemented? We ordered from Amazon and it came in 2 separate shipments. The first was there when we arrived and I was not charged. The second arrived a day or 2 later and we received a notice that we had a package and were charged $5. We went the luggage route on our last trip. When we got to the Port Orleans Riverside, we just went to the hotel store and bought milk and other perishables mainly for breakfast/lunches. Yes, the items were pretty expensive but not as expensive as that breakfast we had at “Be Our Guest”! It was very convenient and we didn’t have to worry about deliveries, pricing etc. We packed light and I did laundry once so we had room in our suitcases for food on the way up and souvenirs on the way back. What happens if you order cold/chilled items from Garden Grocer? Such as milk? Will the resort keep it cold? Thanks! Yep! They have refrigerators in the bell services area at the resort where they leave the groceries. 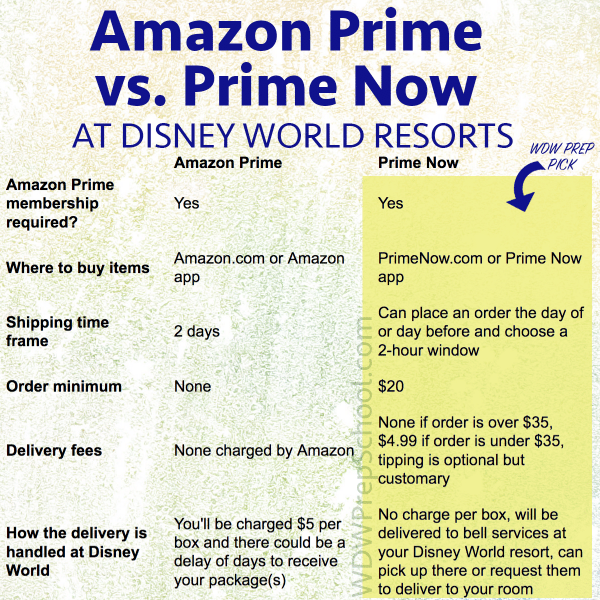 Amazon Prime Now is now available at Disney resorts. They deliver your items within 2 hours for FREE if you have a Prime membership. If you want your items within one hour, it is $7.99. They have items such a deli meat, cheese, bread, juice, lots of organic options, etc. Use code 10PRIMENOW for $10 off your first order. Minimum purchase of $20 is required for delivery. Can you help me? I leave for disney in two days, how do I access this service at disney?? Thank you for the offer code! Do you know if they have fresh produce options? I can’t seem to find them on the site and assuming they don’t have fresh fruit/vegetables, but figured I’d check with someone who has done this before 🙂 Thank you! If you are looking to ship basic groceries and baby /toddler supplies, use Diapers.com, they have a huge variety of all things needed and its free shipping on orders over $49.00 I would order at least 7 days in advance for guarantee that everything arrives by your check in day. When we went in December I shipped everything from diapers, babywipes, new Pj’s and breakfast bars, snacks, box juices, even a case of bottled water. I saved a ton of money and did not have to bring any baby/ toddler supplies with me except what I needed on the plane. We use a service in our hometown called Shipt. The cool thing about it is that your membership travels with you. So any city that Shipt is currently active in you can use their grocery delivery service. They have been in Orlando since Sept ’15 and we plan on using them on our WDW trip this coming Fall. I verified with Ship that they deliver to Walt Disney World (they are extremely reactive to messages and have a live chat function on their website if anyone wants to reach out to them). The way the service works is that you get an initial free two week trial and any order over $35 has no delivery fee. The markup on products is not bad at all-for every $30 spent you can expect to spend about $5 more dollars than you would if you had shopped yourself. They primarily shop through Publix (this is where they shop in Orlando) and have an app you can download to your phone where you shop via categories and they even have a sale page. You can shop in advance and add on to the order prior to it actually being shopped. You can request special items you don’t find on the site as well (the shoppers try very hard to accomodate these). You pick an hour time window where you would like your groceries to arrive (if you are staying on property you may want to ask a Shipt rep about grocery delivery to Bell Services where you don’t have to be present or arranging special delivery requests). Even if Shipt is not currently in your hometown you can still take advantage of the two week free trial while in Orlando. I am going to post a link below that will get you your two week free trial and $10 in free groceries! This is a service we use in our every day lives to make our work weeks a little less crazy and I am so excited about using it on our vacation! If you have any questions let me know or reach out to Shipt! They are super helpful. My friend was able to use her two week free trial while on an extended work trip where Shipt delivered. She didn’t want to continue it as her hometown didn’t have the service and she was able to cancel it. I would just be sure to put it on your end of vacation “to do list” so you wouldn’t forget. Shipt has been super helpful whenever I have had questions so feel free to reach out to them as well. They have a live chat function on their website, you can send them emails and even ask them questions via their Facebook page. Hope that helps! Was just curious how your experience with at a Disney Hotel worked out? I was just looking into and was wondering if there are any issues…Was surprised not to find more posts about it so was getting nervous! Thanks! You can’t get delivery from garden grocer unless you’re on Disney property or at a Whyndam resort now. I spoke to the and they have confirmed this. I have screen shots of the live chat. It really stinks. We tried The Grocery Stork to deliver our groceries when we stayed at Pop Century last year. We thought the prices were reasonable and there was no minimum order like with the other companies. Everything was at the resort when we checked in, including a little chocolate treat and thank you note. We appreciated those extra little touches. You can use SHIPT too. Delivery from Publix of whatever you’ve selected on the app or put in your special request section. They can deliver to various places – hotel lobbies, parking lot (before you leave for example). There is an annual fee so maybe a better deal if you can also use it at your home address. There’s a $10 off code (DISNEYWORLD) you can use the first time you shop. What am I missing on the Amazon tip? AmazonFresh isn’t available, so I do Pantry? And order 3 days ahead of time? What if my order gets there before I check in?? Staying at Port Orleans and want to do a lot. What restaurants would you recommend and if you have the quick meals plan where can you reserve meals for dinner? Is it at your hotel only? Or all the Disney restaurants… Have a hopper pass for three days and doing some off site trips to Universal and Legoland.. What are some good suggestions? Amazon Prime Now (the same day delivery) is not offered in the Disney area. Has anyone used Uber for this? I’m wondering does the person wait for you to get groceries and take you back or do you have to request one for pick up and another to drop you back off? Do the Disney Resorts charge you a fee to accept your groceries or packages that you ship to them? Someone mentioned a handling fee of $20… I will be staying at the Pop Century Resort. Any advice/suggestions appreciated! Can you get water bottles in bulk at the speedway? We procrastinated too much and arrive tomorrow. Too late to get delivered. I was looking at the options for ordering on Amazon. Is the “same day delivery option” through Amazon Fresh? I put in the zip code for my resort (32830) and it says that’s not an option for that area. Am I missing something? We did Garden Grocer for our trip last month. It went off without a hitch! The cost of the items was higher than you’d normally find, the delivery fee was a bit higher than I’d expect, and the $40 minimum was a bit excessive, but the convenience was worth it, and it was still cheaper than purchasing everything at the food court. The groceries were just dropped off in our room with our bags while we were out at dinner. We’re going for a very short trip in December, and I’m going to need to find another option since the $40 minimum is way too high, but I would recommend Garden Grocer for a longer trip. Let’s not forget that those driving can stop at a local grocery on the way! How about a list of grocery ideas to bring along? I’m staying at The Caribbean Beach resort – I’m not sure if my preferred select room has a fridge or microwave. As a matter of fact. I can’t find much info on these rooms at all. ? The packing list linked at the bottom of the post has grocery ideas. Your room will have a refrigerator, but not a microwave. I’ve had success using Turner Drug Store for LIMITED item delivery. They have a website or you can call…delivery was same-day (within reason during business hours), fee was $7.95 I believe. Water, snacks, forgotten or intentional toiletries, soda beverages, diapers, medication (even RX), etc. Yes, we ordered from Turner Drug Store. When we arrived off the Magical Express to our resort, I felt a fever blister coming up on lip. Got on their website and ordered my usually medicines (non prescribed). I ordered that afternoon and received my items the next morning. It was great!! 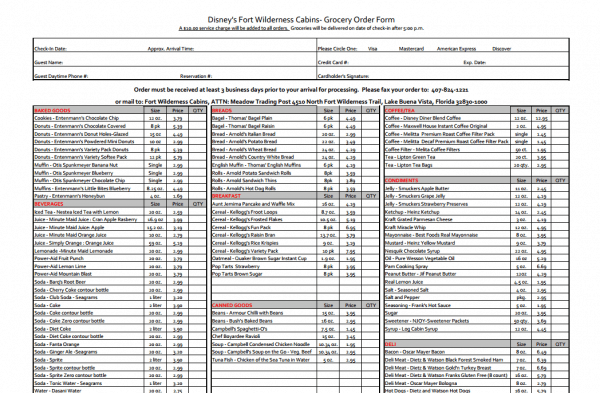 Can anyone provide information on basic food prices at the Fort Wilderness Trading Post? Milk, OJ, bread, chips, etc? Trying to evaluate against the delivery services. The Grocery Stork also delivers to the Disney area. You order everything online and they drop it off at the resort, usually before you arrive! And they will add things to their website for you if you email them something you don’t see but want. Great service! Has anyone tried shipping from Amazon prime or Target, since you get free shipping (for Target shipping is free if you use a Redcard)? I was thinking the same thing but I fear that there wont be enough information on the package for them to accept it. Just my name and the address may not be as obvious as packing my own box that says guest, and care of disney front desk. I would love to know if someone did this and it worked? I have used prime pantry a couple times. It works great! How many days in advance did you place your Prime Pantry order? Thank you so much for all of these ideas. Our vacation plans were put on hold a few years go when I was diagnosed with severe food allergies. I have to prepare all of my own foods to avoid any cross contamination. Our biggest hurdle has been trying to figure out our food situation. Plus, I’m kind of a control freak and NEED to have everything ready to go. Your site is amazing! I’m packing most of my food and using Amazon Prime to have water delivered to my hotel. Another option is to rent a car upon arrival for one day. It can be returned at Disney. How much does it cost to rent a car from orlando airport and where do you drop off in disney? it’s also possible with some resorts, such as Saratoga Springs and Old Key West, to have your groceries delivered directly to your room and put away before you arrive. You would order directly from the resort gift/grocery shop. I’m a former cast member and this was part of my job to deliver groceries. I had to pay $20 to receive a small package of forgotten items sent from home to Coronada. Unfortunately all pkgs sent there go through their business center. Another option I never see mentioned is a side trip to the fort wilderness area. Just a short boat ride from MK. They have a full service camping store with an extensive little grocery with both packaged and fresh foods. During our 10 day stay, my teenage son and I wanted to have bottled water, fruit, muffins and other goodies in the mini fridge at Port Orleans Riverside. I arranged a car service to pick us up from the airport and we were met by the driver holding a sign to welcome us. The driver made a 30 minute free stop at my favorite Publix Grocery so I could find what I needed. Then it was off to the resort for check in. The entire process took 45 minutes which was 30 minutes less than the magical express bus. THE BEST $100 I ever spent. My fruit was fresh and some groceries were less than half the price listed on grocery delivery sites. My son thought the best part was not having to sit on the bus watching the same “movie” over and over while listening to little ones fuss and cry. Hi Ryansmom, We will be staying at that same resort over Easter this year and were hoping to do a grocery stop like you. How did you arrange for car service? Could you refer me to the same company? I believe you said in your message that it cost you $100 for this service, is this correct? Thanks so much for your help! Which car service did you use ? The most adorable one is UBER all you need to do is download it on a phone or tablet. We are hitting Universal first & they have no free transportation from airport…If I have to pay $30 bucks a person x 4 for a round trip when we are only going one way(as we hit WDW after Universal) it was worth it to find a car service instead. We found a wonderful guy on line he gets raved reviews. They will pick us up for $75 from airport(will be waiting with a sign) in an SUV & bring us for a 20 or 30 minute Publix grocery run then off to Universal. Four days later he will pick us up @ universal for $50 & bring us to WDW for our 8 day stay. We can then take the Magic bus from WDW to airport when we go home. It’s so worth it to us to pay $125 & be comfy & have a grocery stop then pay the Universal bus $120 one way only no shopping. I told Universal they need to get on par with WDW as thats fee to & from the airport is OUTRAGEOUS after all we are spending to stay there. Please tell me where you found the service from airport to universal and universal to Disney!!!??? Just got back from staying at all star sports. I got a bunch of Amazon gift cards for Christmas so that pretty much settled where to get our groceries from. I signed up for the free trial for Amazon prime and had everything shipped to our resort for the small fee per pantry box. At check in, we did have to provide our ups tracking numbers and fill out this little form. They said they get 6000 packages per day and the packages are stored in this shipping center on the disney grounds but not usually at yhe resort. So it’s not as easy as asking for it at the front desk with your name and having them hand it to you. They said they would try delivering to our room that day, and within about 20 minutes it was delivered. so that worked out well, but without our tracking info we might have been stuck. Also, we bought half gallons of milk from the resort gift shop. Loved that method. What other perishables were available in the gift shop besides milk? Did you happen to see breads, cheeses, eggs? I was at Disney in Sep 2014 and stayed at Animal Kingdom Kindani. We walked over to Jambo and I was surprised to see that the store had pretty much everything I had ordered/delivered to our room through the DVC grocery order form with a delivery fee. There were eggs, cheese, breads, frozen pizza, yogurt, butter, ham, and much more. Do you happen to remember how much the 1/2 gallon of milk was? Which onsite resort were you at? What did you think of the All Star Sports? I just put a deposit there but could change it before the end of March. I’m going with my husband and 2 children, ages 5 1/2 and 9. 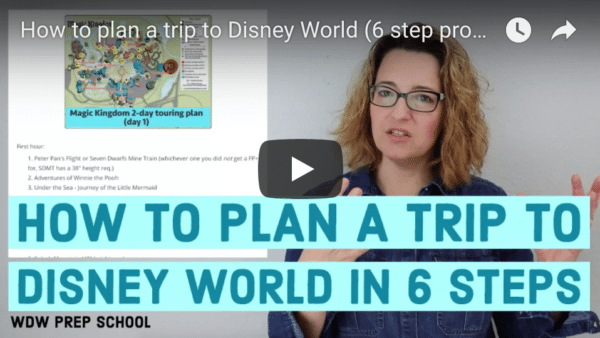 I wanted to enjoy the benefits of staying inside Disney resorts, but want to be frugal and save money on breakfast and lunches. How much stuff can you fit on the mini-fridges? How early do you recommend reserving with Garden Grocer? We are going at the end of October. Thank you. “We highly recommend you place your order as far in advance as possible of your arrival to secure your preferred delivery date and time. It is suggested that you place your grocer order when planning your vacation. Some delivery time slots (particularly on weekends) tend to fill up quickly. If time slots are available, a 36 hour minimum* in advance is required, however please make sure the delivery date and time frame you need is open. *Please note: due to an increase in business, delivery time slots are filling up quickly and there may not be time slots available for up to a week. We are able to accommodate orders with a minimum of 36 hours notice ONLY if there are delivery time slots available. Thanks to repeat customers and referrals, our delivery dates and times fill up quickly. As we continue to increase our staff to accommodate the demand for our service, our goal of 100% on time deliveries is our first priority for our Loyal Customers. If we order from Amazon Pantry, Will it be delivered to our room with our luggage, Or will we have to go pick it up at the front desk? It will be delivered to your room, most likely the day after you arrive. Hi, do you need to contact the hotel beforehand? There is also Schwans. We tried it and it worked great! Amazon pantry wasn’t mentioned but it’s an awesome service. Very reasonably priced (you can even use coupons) and if you have Amazon Prime it ships FREE. We’ve always rented a car for one day from Dollar Rental at the Wyndham Resort Downtown Disney. We take a bus from our resort to Downtown Disney and walked across the street to the Wyndham to pick up the car. We could then go shopping to get all of our supplies and do any other running around we needed, then return the car. Cost of rental is $40-$50. I am going to check into using Enterprise next time because they will pick you up. I just wanted to note that one of the stroller rental companies (I think it’s Kingdom Strollers) has a partnership with a grocery delivery company, so if you rent a stroller from them you’ll get free delivery of whatever groceries you purchase. Great deal if you’re already renting a stroller! Staying at disney movies in december. I was going to use garden grocer but was told by disney that they do not accept the packages. I would have to be in my room to accept? Dissapointing. Not what my info says. Maybe it’s just for your resort. My son used them and had a delivery before they arrived at the Beach Club and he’s doing it again for December at the Grand Fl. I was in WDW last week and we came up really short on soda. I hopped on to Amazon Pantry, found what we wanted, and then went to ship. It wouldn’t ship to the resort!! However, I tried again the next day, had another item that was NOT pantry to deliver (ponchos), and was able to have both delivered to the resort without issue. We are Prime members and the pantry items took 3 days instead of the traditional 2 with Prime. don’t have access to unlimited drinks with your free Disney Mug that you get when you book your trip? We are going to WDW soon and I didn’t add soda to my list because I thought we could get it at the resort with the mugs. I assume they don’t have the dining plan package. The refillable mug is free with the dining plan but $18 (less for trips less than a few days) without. I don’t drink much other than water so won’t be buying one during our stay. But you should be fine to get all the fountain drinks (coffee and iced tea) that you want while at resorts with your mug! Your site has been amazing while I have planned our first family trip to WDW!!! Just ordered some water and breakfast items for us through Amazon Prime Pantry. Surprisingly some items were cheaper than you would find in the grocery store and shipping was a flat rate of $5.99. I signed up for Amazon Prime for a free 30 day trial. Great option for families who are flying and trying to keep luggage to a minimum! We used Garden Grocer last year and it was stocked in our kitchen and frig before we even checked in. Everything we ordered was there and good quality. I was concerned about fruit and a few other items, but they lasted all week. Worth the delivery fee and tip and saved us so much time. We purchased the Disney dining plan with 2 meals a day, but it was nice to be able to eat breakfast and hit the parks or have some snacks and light meals for when we didn’t have reservations or hanging out in the room. There is some misinformation about Garden Grocer – items not on the site CAN be requested. Either by emailing them after the order is placed or in the comment area upon checkout. If they can find it, usually they’ll get it for you and they’ll let you know the price. The catch is that the $40 minimum has to be items on the site. So, I guess that can be listed as the con instead. Credit card info isn’t kept on file, so you would have to call that info in once they say they can get the item. I worked for them a few years ago, so I know they’re willing to work with you unless it’s something completely outlandish. The other good thing about them is that if you run out of items, they’ll do another delivery with no delivery fee. These items can be ordered over the phone and delivered the next day. I’m having a family reunion of 15 people later in the year and will most likely be using the service. That has to say something…. Absolute! very nice option for grocery online or 30 mins stop with pre-arranged trip planning, specially to WDW in Orlando, FL. You will have a refrigerator, but just no microwave. Do you know if the Animal Kingdom Villas have microwaves? I was thinking about ordering on Amazon. I have Prime, so I’d order Prime-eligible items. I like the Staples idea for water, though. For some reason water is quite expensive on Amazon…maybe to cover the shipping cost. We used Garden Grocer 2 years ago and LOVED it. We are getting ready to place our order for our trip coming up in a month. The convienence of having your groceries delivered saves on packing space in the luggage and the headache of worry about going somewhere to get it. We like to relax and enjoy our vacations. We are a budget family so I did not see cost wise that it was anything different than we would have paid at the gas station or resort. good idea to take your empty luggage to the hess gas station, fill it up with groceries and roll it back to your epcot area resorts. dont forget the beer, alot cheper than at the resorts!!! I like the idea of going to Hess. I will be in Downtown Disney next Monday June 2,’14 and wanted to know where the gas station is near Downtown Disney. Can you tell me where to find it? I know this is an older post, but I have a quick question. For everyone who has used the Garden Grocer, when are you making the order? Are you making the order the day of your arrival or earlier than that? May sound stupid, but I have never used this service before and will be using it this year. Any info would be greatly appreciated! Thanks! I like to have groceries delivered on arrival day. We usually place the order 2-4 weeks in advance and have it delievered the day we arrive. We used Garden Grocer when we stayed at the cabins at Ft Wilderness last year and we were very pleased. We ordered mostly breakfast foods, beer, wine, water and snacks. I found the selection just fine for what we needed. Everything was put in the fridge in our cabin when we arrived. 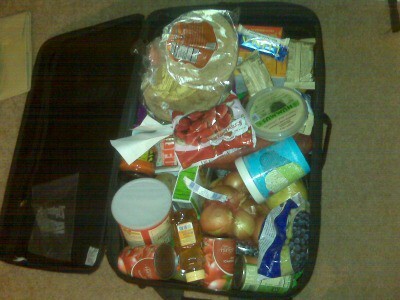 I also packed non-perishables in our suitcases. All the space freed up left more room for souvenirs. Hi! We’ll be staying at Ft. Wilderness Cabins in July. Did you have the food delivered on your check-in day? Never mind- I went on the Garden Grocer site and they have it all very well explained. Such a comfort to know we won’t have to remember and find room in our van for these grocery items! We have used Garden Grocer twice & couldn’t have been happier. The selection was great & it was delivered and waiting for us just as we checked in. We have also used the markets at the resort on shorter stays and were pleased. If staying longer have items delivered. That applies to all international visitors- we’re travelling from the UK, and have decided not to risk bringing anything that needs declaring on entry! When we go down next year we plan on using SAMs club pick n pull. We will order online the day before we leave and they will pull it all. We will walk in and pick up quick. Only works for SAMs club members, of course, but another option. Yeah, I’m pretty sure they will do that without much trouble at all. Just use the addresses shown above. use the generic address or the address to the resort above? Order from amazon and ship directly. If you are an amazon prime, free shipping and only takes a couple ays! 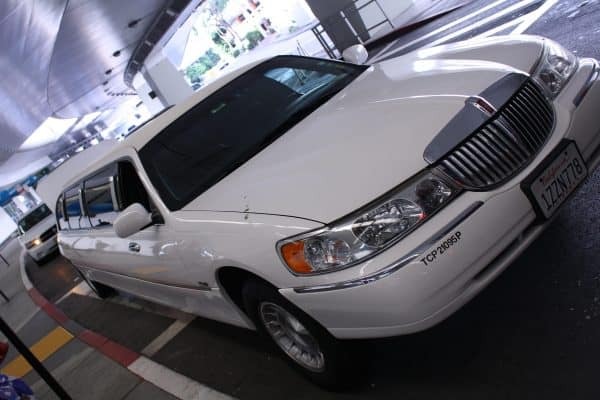 Also, The rates for “limos” can be cheaper than whats referred to above depending on family size. Round trip towncar service via Tiffany towncar is $1115 or $135 for a larger van with 30 min stop at grocery store included. Have used them successfully and was happy with service. Amazon Prime only ships free to your home address. I use prime and ship to all kinds of different addresses. As long as it says its prime eligible I don’t think they care where you ship it. I think they may have changed the way they work then. At one time, you could only ship to 1 address which allowed people to ship to their own house for cheap/free but not to other places. Looks like you can do it to other places now as well which is fantastic. We have Prime and ship to all sorts of addresses. When I’m buying gifts for my daughter, I have them shipped to my next door neighbor. I send gifts to my nieces all the time at a different address. Try Kelly’s Personal Disney Shopper (kellyspds.com). We used them on our last trip and it was delivered the night before to our resort and stored in the fridge. Just had to pick it up when we arrived. Very reasonably priced. Just ordered water from Staples. In order to get the free shipping, you must sign up for both an account and the Rewards program. I also had to order the brand available in my local region and then after submitting the order, edit my cart to add the brand name sold in FL. Its a few extra steps but worth it if you are used to bottled water. They shop for you and deliver. We used them last time we were down, delivered to the resort (Y&BC) and the cruise line (dream). Can’t thank them enough for all they did for us (huge mess up w/ airline/trip canceled and reschedule), still got our stuff months later. Another option is buying your groceries directly from your Disney hotel! I work at Disney’s Contemporary Resort, and there we have a store called ‘Fantasia Market’ that has all your basic grocery needs while on vacations. For a $10 fee, we’ll even have your food put away and waiting for you in your room when you arrive! Just thought I would share that option with you! Fabulous post! We usually go the good old fashioned route and pack a bunch of bulk items in the car on the way down and then make a Publix/Walmart/Winn Dixie run when we get there for the perishables! Since we always stay in the Villas (this time will be a FW Cabin) we like to have all of our necessities in the kitchen!